Taek Man Chong (CRD #1551743) is a previously registered broker and investment advisor who was last registered with Raymond James Financial Services, Inc. (CRD #6694) of Mercer Island, WA. His previous employers include Deutsche Bank Securities Inc. (CRD #2525) and SG Cowen Securities Corporation (CRD #7616) of New York, NY, and A. G. Edwards & Sons, Inc. (CRD #4) of St. Louis, MO. No current employment information is available. He has been in the industry since 1986. 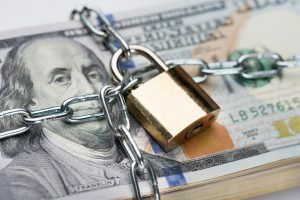 Two customer disputes were filed in May of 2018, both alleging overpayment of commissions, totaling $2,010,939.01. These disputes are currently listed as “pending.” According to FINRA documentation, Chong was under review for these disputes, which were related to large, institutional trades, and his registration with Raymond James was voluntarily terminated on May 22, 2018. He is not currently associated with any FINRA-member firm. FINRA began an investigation, and sent a letter to Chong on May 25, 2018, requesting information related to the disputes. On June 19, 2018, Chong responded through counsel that he would not provide the requested information to FINRA at any time. FINRA issued an Acceptance, Waiver & Consent (AWC) letter, in which Chong neither admitted nor denied findings, and signed on June 22, 2018. FINRA subsequently barred Chong indefinitely, and in all capacities, effective June 28, 2018. FINRA has received three customer dispute claims against broker Matthew Jordan Werthe (CRD# 5664041, aka “Matt J. Werthe” and “Matt Jordan Werthe.”) He is a currently registered broker and investment advisor with Raymond James Financial Services (CRD# 6694) in Murrietta, CA since 01/02/2013. He was previously employed by Edward Jones (CRD# 250) in San Diego, CA from 06/23/2009 through 01/02/2013. Raymond James Financial Services, Inc. financial advisor Matthew Werthe of California (CRD# 5664041) is the subject of multiple FINRA arbitration claims alleging he engaged in unauthorized and excessive trading, churning and other misconduct. According to his CRD Report, Werthe has been the subject of two recent customer complaints. Werthe also had a business called D. Canada Financial. 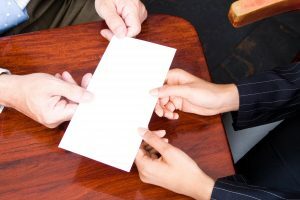 Both arbitration claims allege Fraud, Excessive Trading, Churning, Unauthorized Trading, Maryland Consumer Fraud, Forgery, Breach of Fiduciary Duty, Unsuitability, Breach of Contract, Negligence, Unjust Enrichment, Strict Liability, Failure to Supervise. One investor seeks $362,000 in damages, the other $728,000.